Usually, it will take us about 6-17 days to create the bobbleheads. 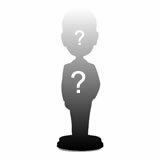 We ship all our bobblehead dolls via DHL, you may get the doll in 4-5 days after ship. Our single bobblehead dolls start at $69 and generally cost between $89-$109, including standard delivery. We charge small additional fees of $1 for add-on items like tattoos, glasses and hats. Sculpted Head - we will hand sculpt the head to resemble the primary photo you attached to the order. At this time, you will be able to make any changes to the facial properties, nose, mouth, etc. Changes are done if necessary at no charge to you. Once you approve the item we continue to the next phase. Once approved, The head will be baked and no further changes to the face can be made. It's free to change the the skin and hair color, eyes color. Complete proof (if applies) - during this stage, we will show you the finished product, during this phase and with all your previous feedback, most customers are happy and approve their doll to have it shipped. At this stage we can change the colors/text/logo of it.